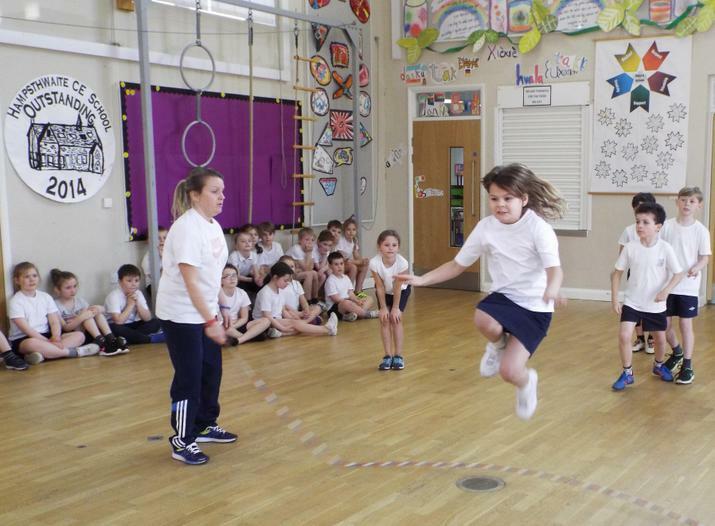 Today, Leanne from 'The Skipping Festival Project' ran a fabulous training session which was fully inclusive and most enjoyable. 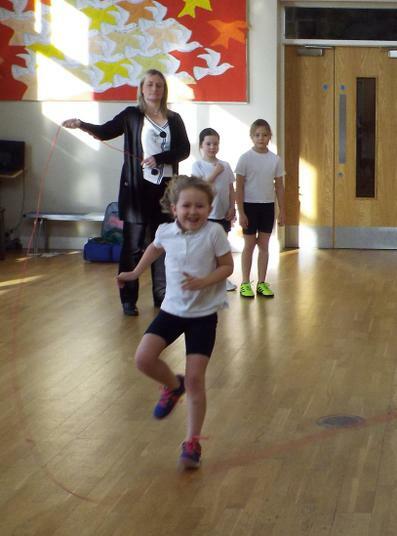 A variety of skills were taught in readiness for their participation in a Skipping Festival Event on Wednesday 22 March. 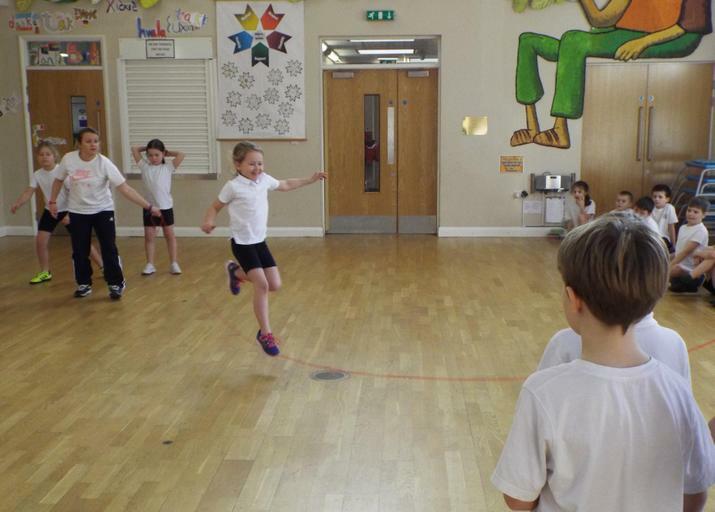 Different skipping challenges included: 'double bounce', 'speed bounce', 'side swing', 'cross over', 'pretzel', 'face-to-face' pairs, 'butterfly' pairs, 'run-jump-out' and 'keep the pot boiling'. 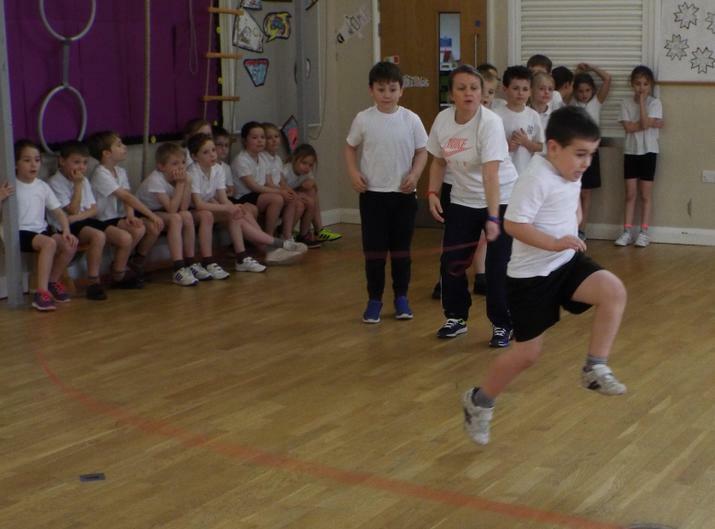 The children were credited for their perseverance skills and it was super to observe how well our children listened and took on board what they were taught, despite some of them not finding it easy at first. 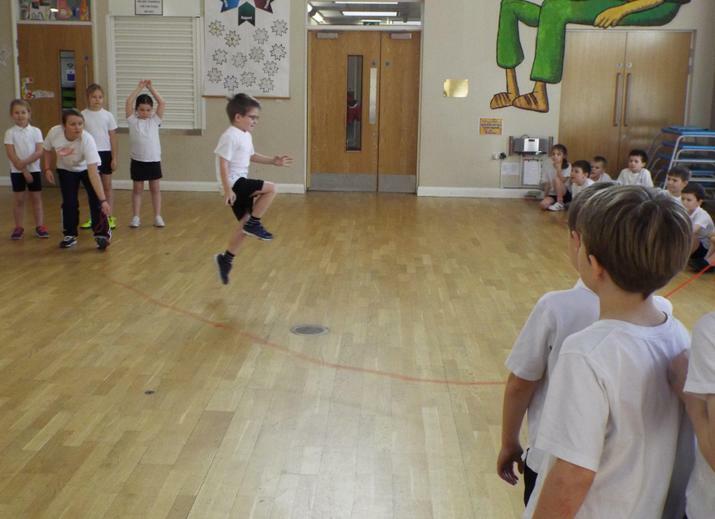 During reflection time, the children realised just how many of our school values were being addressed - belief in themselves and others; respect for their peers and coach; support for others; friendship - being able to transfer skills into the playground; and creativity - seeing what can be combined to make new skip challenges. 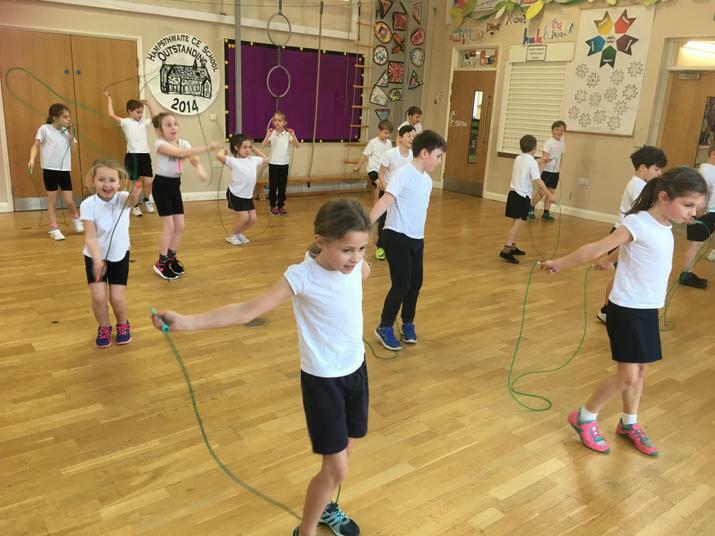 As a school, we have now invested in new skipping ropes, and the children will be encouraged to use them at playtimes as well as having specific training sessions during P.E. 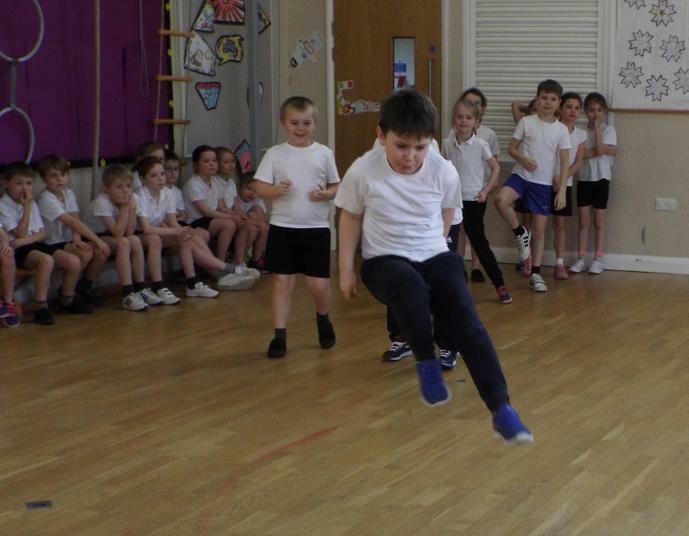 and at other opportunities over the coming few weeks. 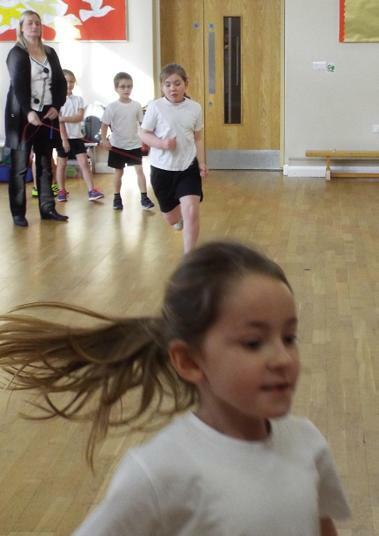 Let's skip for good health, to train for the competitive festival and of course, to have some fun!